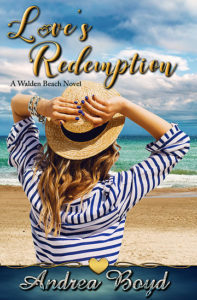 Review & FREE Giveaway of Love’s Redemption by Andrea Boyd! Tragedy sent Holden Armstrong to the bottom of a liquor bottle. He spent a year there before coming to his senses and has been fighting the addiction since. But giving up alcohol is easier than forgiving the man who took his family away from him. And then there’s Izzy. She calls him every time she needs a designated driver. He’s happy to pick her up any time she needs a ride, but the alcohol causes her to cross the line every time. It’s obvious that she needs help, but he can’t be her solution. God is the only one who can fix Izzy Tanner, if only she’d let him. Izzy Tanner does whatever she wants, says whatever she thinks, dates whomever she wishes. There is nothing wrong with her casual way of living—at least, that’s what she tries to convince herself and others. Only one man could tempt her into something more serious, but nothing will ever come of it. Holden Armstrong is too good for the likes of her. When a date goes terribly wrong, it changes everything. Unwanted memories from the past resurface, leaving her broken and ashamed. She begins to question her life and the choices she has made. What will it take for Izzy to accept God’s calling? 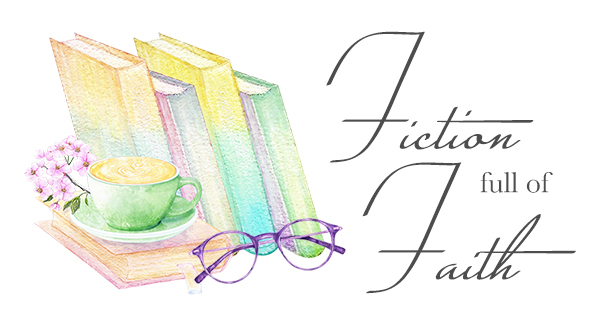 Have your box of tissues handy when you get to read this third installment of the Walden Beach series by Andrea Boyd – you are going to need them! 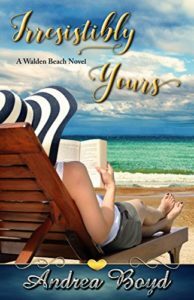 Elizabeth Tanner is first introduced to us in Irresistibly Yours, book one of the Walden Beach series as Vivian’s baby sister. I knew from the first that Izzy was going to need her own story, thank goodness, Andrea Boyd thought so too!! Everyone has a past, and everyone has regrets, things we are ashamed of, etc, but it’s so hard when YOU are the one that is in living with the heartache. How does one become worthy of God’s love and forgiveness? I am sure we all know the answer to that one – we don’t! We aren’t worthy, that’s why grace is such a blessing! What I found so interesting in this story was the unexpected story of Holden. I knew Izzy was going to have a rough road….and believe me, it is. But Holden was a bit of surprise! While Izzy struggles with her journey, Holden wants to be a help to her, but he also has his own issues to deal with. 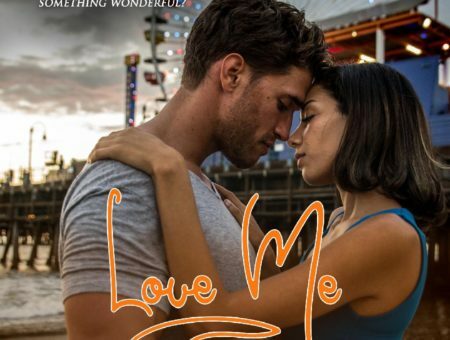 Holden’s story is one that could stand on it’s own, and needs some tissues as well, but when you put Him and Izzy together, well, it just melts your heart! I cried, I laughed, I screamed, I smiled…..but most of all I found understanding once more, just how lucky we are to have a Lord and Savior who does not count our every fault and mark it against us….but who always welcomes us with open arms as soon as we are ready to accept Him! The main take-away I get from this story is forgiveness….not only do we all need God’s forgiveness, but we need forgive those around us who have hurt us or failed us in so many ways, but we need to forgive ourselves too! Honestly, it was as if this story was written for me, I have struggled with forgiveness and worthiness all my life, and as often as I can tell myself different, our hearts need reminding now and then, and this story from Andrea Boyd does that reminding in the most beautiful way! All I can say is thank you, thank you, thank you for writing this book for me….lol, okay, I guess you wrote it for many people, but it felt personal to me! Did I mention that a Mustang convertible is my DREAM car too?? Please, friends, if you are reading this review, get this book!! I truly believe you too, will be blessed from reading it! Let’s talk about Izzy Tanner. I don’t know how it is for other authors, but I don’t plan out how things will go for my characters. For me, characters march through my mind telling me their own story. I first wrote Izzy into existence as Vivian Emerson’s sister in Irresistibly Yours. Right from the beginning, I knew there was something different about Izzy. She had the same parents, the same upbringing, so what caused her obvious brokenness? Then she whispered it to me. My initial response—God, please no, I don’t want to write about that. 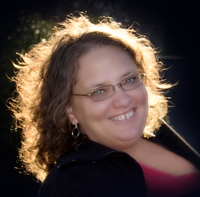 Izzy’s story is not my story, but that thing that happened to her, it happened to me too. I won’t spoil the story, but it involves a #metoo #churchtoo situation. I had healed from the ordeal, but I avoided reading about it. I certainly never planned to write about it. But above everything God knows my heart. He knows my greatest desire is for his will to be done, not mine. Right after this, every book I picked up had something to say about the subject. I knew what God was up to, so I powered through. There was a lack of hope and of healing in some of these stories. It became clear to me why God meant for me to write Izzy’s story. And let me tell you, this wasn’t an easy story to write. I’ve never cried so much over a book, ever. There were some parts where God would give me the words and tell me, “Write it just like this.” He used this story to minister to me and my hope is it does the same for you. Andrea is being so kind as to offer a free ebook to one of our commenters on this post, please tell us what YOUR dream car is? Contest will be open for one week from today and winner will be notified via email! Next Review & Signed Print Giveaway of Waiting on Tuesday! Nice, Crystal, I love your dream car!! I love Kia’s! Good choice, Margaret! When I read your review I thought this book sounded good – especially when you said what your takeaways were. I struggle too. But I have to say that when I read the author’s words about the book I had to pause. There were 2 particular things that kind of hit me in the chest. #metoo #churchtoo I’m afraid this one is truly going to hit too close to home. This one’s going to be a struggle. ❤❤❤ I understand completely. This book came from personal experience. It’s a hard subject to deal with. My favorite kinds of cars are oldie cars: all of the variety of them! I take photos of them (when I can in the summer), and I also draw them (watercolor pencils); then I make Bible verse (KJV) bookmarks with oldie cars on them as gifts:) “Like” my Western art (and bookmarks!) at: http://www.facebook.com/LualOKrautter Also, thanks, again, for the opportunity to enter a giveaway! Would love to win a print copy! Thank you so much for sharing, Lual! I love your pics! A girl after my own heart! I love the classics. A 5-7 year old car in working order that’s paid for. I don’t have a particular “car” style/look that is my “dream car”. But I know what I don’t want, & what I do want from that car. My “drean car” will have plenty of storage space, & 4 doors. It’ll be Silver outside, & Burgundy inside. My “dream car” will run on Air, & exhaust pure drinking Water. It’s a “dream car”, that means anything I can dream up! Lol…I love that, Esther!! Can it don’t he laundry too?? Hahaha! !